Home Computer Youtube Remove Recommended Videos From YouTube ( 3 Methods ). Hey Friends wassup...!! Today I'm gonna share a step by step guide on the topic how to remove recommended videos from YouTube homepage without signing in to your account. As we all know about YouTube, people always choose YouTube to learn anything because it's easy to learn anything from a video. YouTube keeps updating it's layout or theme time to time for more attraction & interesting. As we all know that when we open the home page of YouTube it shows us 'Recommended for you' videos at the top and then it shows us the videos from the channels which we have subscribed recently. It shows us so many recommended videos, so sometimes or we can say every time we have to face some difficulties to find our subscribed channel's new uploads. That's why we need to learn this trick to how to remove recommended videos from YouTube and get rid of recommended videos from YouTube home page without signing in to your account. You may also like "How to send blank message on whatsapp". You may also like "How to hide whatsapp images and videos from phone's gallery". I'll show you three simple methods to remove recommended videos from YouTube homepage without signing in to your account. Read all three of them and use anyone which you think most simple. So let's directly come to the point how to Remove Recommended Videos from YouTube.. 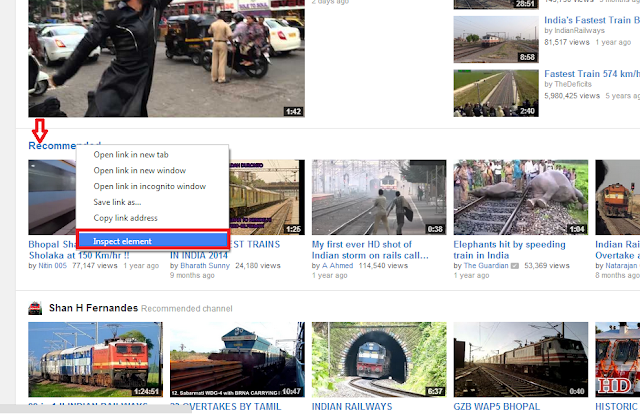 Step 1 :- First of all go to YouTube home page. Step 2 :- Now you can see 'Recommended Videos', just right click on the word "Recommended" ( or you can right click on any blank space on home page ) and then click on "Inspect element" option. Step 3 :- Now you will see a small window will open in front of you, just click on "Resources" tab and then you'll see a option named as "Cookies" on left hand side options list, click on Cookies. 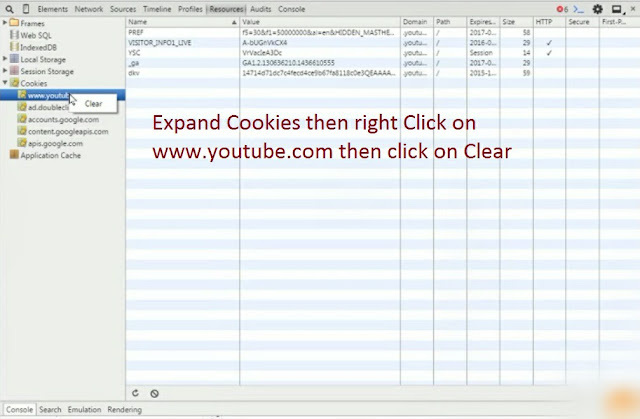 Step 4 :- Now you'll see few more options under cookies, right click on "www.youtube.com" option and the click on "Clear" option. Just reload this YouTube home page and then you will see that you have successfully removed Recommended videos without signing in to your account. You may also like "How to remotely shutdown computer with phone". You may also like "How to set whatsapp profile picture without cropping". This method is really the easiest one to remove recommended videos from YouTube home page without signing in to your account. As we all use "www.YouTube com" to go on YouTube's homepage but in this method to remove recommended videos from YouTube we don't use this "www.YouTube.com" link to go on YouTube. This link also takes us to YouTube official site but when we go to YouTube with this above link it will open YouTube home page which don't have any type of recommended videos means you have removed recommended videos from YouTube home page. You may also like "How to lock and unlock computer with a usb drive". You may also like "How to find last shutdown time of your pc". 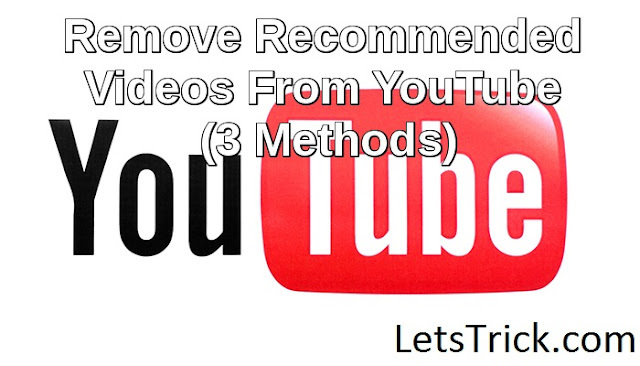 In this method we will use this userscript to remove recommended videos from YouTube home page. We just need to install a addon in our browser which we use to open YouTube like Google Chrome or Firefox. 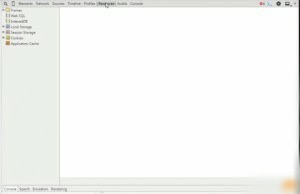 Just Install greasemonkey in Firefox or install tempermonkey in Google Chrome to this user script. Once you have installed these addons on your browser, go to above given user script link and click on "Install" button over there. Now you have successfully learned how to remove recommended videos from Youtube home page without signing in to your account.